As you and I are looking for comfort during the summer heat, so are the fish. 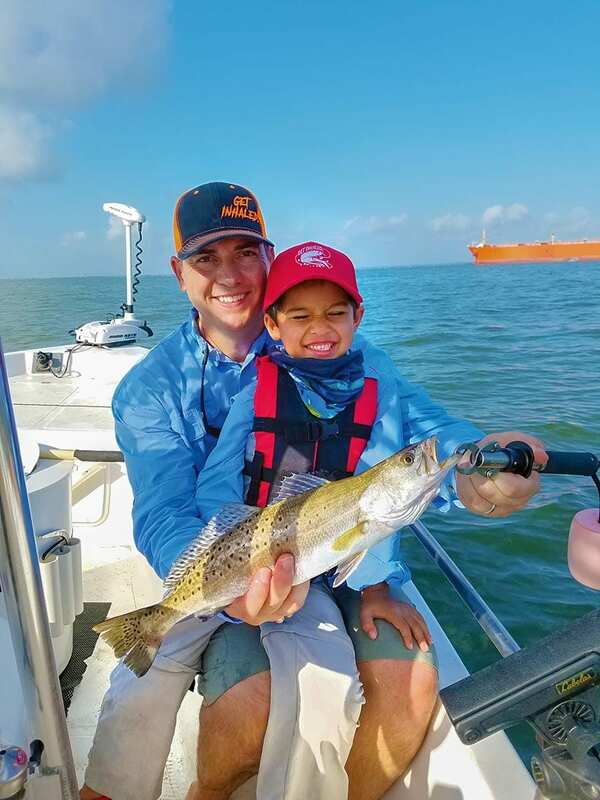 Deep water fishing and stronger currents are two ingredients that can help locate sea trout during the dog days of summer. Let’s cover a few types of areas and methods that will help increase your catch. Deep water fishing of shipping lanes can be extremely productive this time of the year. Some of these channels can be up to 50 feet deep. The spoil islands neighboring these deep-water trenches will be much cooler and offer some comfort for speckled trout and its prey. In Texas, I fish areas with this structure in both the upper and lower coast, but I approach them a little differently. These tactics work where I fish, and trout are looking for the same things wherever they live: comfortable water conditions and a food source. Seek out similar conditions where you fish, and you are likely to find trout. In Galveston Bay, when fishing the Houston Ship Channel, I fish from a boat. There are a few things I like to target oyster reefs and spoil islands near the ship channel. Trout will hold in water depths of a few feet down to about 15 feet over the reefs. Looking for slicks in these areas is a good way to pinpoint the location of the trout. Most of the time, these fish will be biting near or on the bottom. When targeting the deeper shell, be prepared to have a wide range of jighead sizes up to ¾-ounce depending on the strength of the current. Also, be prepared to lose a few to the shell. In most instances, if you are not touching the shell with your lure you will not catch the fish, so don’t be afraid to lose a jig or two. While fishing channels with large tanker traffic, always be aware of your surroundings. These tankers can create massive waves that only a surfer would love. If you’re not diligent and attentive, these walls of rolling whitewater could easily swamp or capsize your craft. On the lower Texas coast, I prefer to wade fish the shallow grass-covered spoils and flats adjacent to the Intracoastal Waterway. Here you can get by with much lighter tackle and even weightless rigs. Searching for slicks is still a good way to locate trout along this deeper stretch of cooler water. I like to find spoils with breaks or guts in them, as the fish will congregate around these depressions. Another tip is to focus on areas of broken grass rather than solid grass flats. Whichever method you choose, remember the deeper water keeps the temps more desirable and the ship traffic creates an artificial current which can be a plus when the tides are not swift enough. Enjoy your time on the water, be safe, and take a kid fishing! Capt. Michael Okruhlik is the inventor of Controlled Descent Lures and the owner of www.MyCoastOutdoors.com.